One of the most intriguing and individual books I have reviewed recently is Motherland, by Jo McMillan. I reviewed it for the Historical Novel Society, although it is set in the 1970’s, which is rather recent for the HNS, but I justified my review on the grounds that the German Democratic Republic (East Germany) is already history. The novel is part memoir, part fiction, part melancholy and part humorous and all of these at the same time. It tells the story of a teenage girl from the West Midlands who goes to East Germany and finds and loses the land of her dreams. I leave the rest to Jo. Tell me Jo, your book Motherland is written in such a direct and individual style that the reader cannot help asking how much of it is autobiographical. Were you really the only teenage communist in Tamworth? Motherland is a novel, though it began life with the working title All for the Cause: a memoir of a communist childhood. But the mayhem of real events, plus the dearth of evidence thirty years on, forced a rethink. I hadn’t had much practice at making stories up, though. I’d had a number of different jobs and they all dealt in facts – of English grammar, of Council rent arrears, of gender relations in China – and now here I was, inventing on the job. I kept looking over my shoulder expecting disciplinary action. It took a while to come round to the idea that fiction writers can’t be fired for fabrication. But, yes, I really was the only teenage communist in Tamworth. One or two Party branch members were, like my mum, single parents. But if their children were at events it was because the baby-sitter had cancelled, not because they believed – whereas I was card-carrying and keen. I applied for special permission to be allowed into the Young Communist League two years before teenage had even begun. How would you describe your political philosophy today? At the start of the Motherland project, I had no idea what I thought of my political past. I’d wiped the whole thing since the fall of the Wall. So when I landed in Berlin in 2009 for six months’ research, I came with just two questions: How could good people (like my mother) be involved in something so apparently bad? And how could people be routinely unkind in the cause of a better world? Six years later, I’m now based in Berlin and I’ve written a novel that changed me. It answered my two questions and – something I hadn’t expected – made me want to be political again. Not in the old way: not typing up minutes of non-events or selling the Party paper to myself. But I feel fine having doubts about capitalism. It turned out to be a good time to look at my political past. Since the financial crash of 2008, the system that triumphed hasn’t seemed so glossy, or inevitable, anymore. I didn’t imagine at the start of Motherland I’d ever say that. Was it difficult writing about your past? Unlike Jess, I carried on believing until the Wall came down. For me, the night of 9 November 1989 was the End of Everything: my beliefs, my mapped-out Party career, my marriage (my husband was a journalist on Soviet Weekly). I actually missed the fall of the Wall. I was newly out of hospital where I’d been treated for exhaustion – worn out by politics and too much revolution. When I eventually came round, it was to a changed world. It took twenty years for the dust to settle and for the past to be far enough away to broach. And by then I’d become somebody else. It was a familiar stranger’s history I was setting out to write. And when Motherland turned from memoir into a novel and it became Jess’s story, the distance of fiction took out the worst of any sting. Would you consider Motherland a political novel or is it more about a mother/daughter relationship? It was always meant to be both. I love books that take apart the minute workings of human relations. But if they’re chamber pieces, cut off from history or politics, they can feel claustrophobic. It’s also not how we live. When we sit down to breakfast and put on the radio, most days a war crashes in. But getting the balance right between the politics and the mother/daughter relationship was one of the biggest challenges of writing the book. The personal story is universal and the emotional weight of Motherland always had to be there. Politics on the page is louder than anything else. A single misjudged line can drown out an entire chapter. All you want to do is stick fingers in your ears – and that means you put the book down. So with every draft (and there were many) I muted the politics. You describe yourself on the cover of your book as ‘based in Berlin’. I imagine you travel a lot. Could you tell me something about this? My passport is my most important document. I always carry it with me, plus a compass, nuts, a Swiss army knife and enough money to get me to the border. You never know if something will happen on the way back from Aldi and you won’t go home again. What made you want to be a writer? Did you have any experience before starting your first novel? When I was born, a family friend heard what I’d been named and said, ‘She shall be a writer.’ It was an odd act of clairvoyance, and spectacularly far-sighted, because if I was always meant to be a writer, I took a long time getting there. Still, early signs were that the friend had been right: I began my first novel when I was eight. It was a Saturday morning – and I gave up when I realised I was in for the long haul and it’d take me past the start of Doctor Who. So then I wrote poetry. With that you could see the end before you’d even started. But by the time I was in the Young Communist League, the only writing I was doing was the minutes. When I was sixteen, I told the man from the Careers Office that I wanted to be a Party official. He belly laughed at that. ‘You should be a comedian,’ he said. Then came 1989. I took out my compass and passport and tried to navigate a new world order. I moved on. And slowly, over the decades, I returned to my eight-year-old self and ended up doing what I was meant to do. Did you find it difficult to find a publisher? My agent did that for me – the brilliant Sophie Lambert at Conville & Walsh. Motherland found a publisher first in Germany. 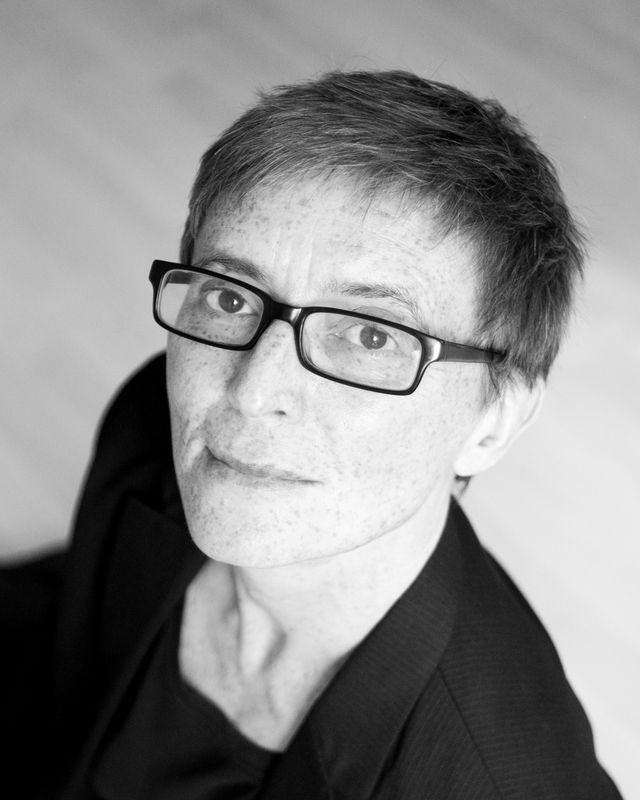 It was pre-empted by Ullstein and will be launched as a lead title in spring 2016. The deal with John Murray – another great publisher – followed soon after. I was extraordinarily lucky with timing. There’s been a wave of German interest in the history of their divided country and an outpouring of GDR memoirs and family sagas. 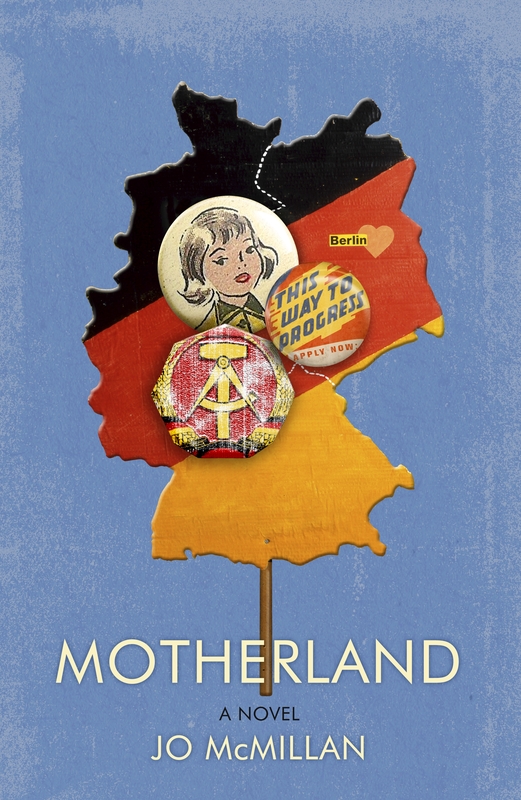 Motherland appeared at just the right moment and with an unusual take: an outsider’s insider view of the East German experience. Have you got another book in hand? Not exactly in hand so much as in box files. I have the makings of another book on thousands of notecards – categorised, colour-coded and date-stamped. If there’s one hangover from Party days it’s the compulsion to organise. I’ve taken down the map of divided Berlin and made room for a three-act structure. I enjoyed being based in Motherland, but I’m heading somewhere new. Why not meet other authors on the MEET . . . pages on this blog.